As the competitive advantage of corporations are increasingly tied to IT deployment and operations, IT Governance is taking center stage in the office of the CIO. IT Governance is beyond project management and delivery. It is about achieving business priorities with IT roll outs that meet the strategic goals of the organization amidst the stressors of both cost and time constraints. IT Governance provides a framework and a set of processes to enable the efficient and effective utilization of all IT resources. By adhering to the governance process, an organization can increase monetary and strategic benefits. In essence, a governance layer provides a balanced scorecard to measure the strategic alignment of both the Business and IT. In addition, a governance layer will more effectively enable an organization to proactively monitor compliance and mitigate risk elements of IT projects. The implementation of a proper governance layer forces an organization to catapult the CIO and the IT Department to become true strategic and business partners within an organization. This action ultimately produces optimal value to the enterprise. RoundWorld Solutions’ unique 360 degree view of IT Governance is comprehensive and impactful. We provide our clients with a complete analysis of the current status of their policies and procedures, a determination of the future road map of where they want to be, and the design of comprehensive change management procedures that will help assist them to align their entire IT department with the strategic goals of the corporation. This RWS methodology can help ensure IT is tuned in and focused on maximizing your organization’s success. RoundWorld Solutions (RWS) offers industry leading IT Governance consulting services to CIOs and IT departments. Our unique 360 degree view and our expertise in the RACI (Responsible, Accountable, Consulted, and Informed). Principle allows us to offer comprehensive services that enable the efficient and effective use of all IT Resources.
. In the midst of an important initiative or project deliverable, it is paramount for an organization to engage in and utilize the RACI Principle. Many well-intentioned IT projects have failed for not following RACI Principles. Once the RACI framework has been established, a strong project management process must encompass the IT project that needs to be governed. A well designed project management process establishes several layers of communication channels with cross functional teams across the organization and delivery teams to focus on quality delivery. 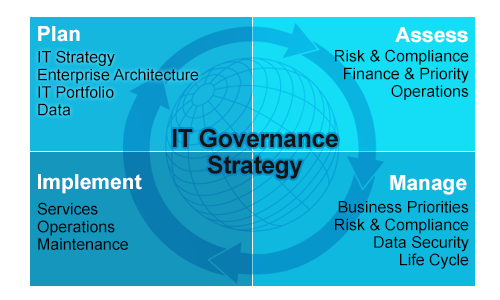 The IT Governance process encompasses the entire organization. This process will start with the office of the CIO to perform a 360 degree analysis to define key performance indicators and other dashboard parameters. The CIO office will act as a neutral participant with the goal of measuring the alignment of business priorities with IT delivery. Our solution produces measurements that can be attained with templates, interviews, meetings, and/or other engagement mechanisms such as support and stakeholder teams. Please contact your RWS representative below to discuss how this disciplined governance layer can make the CIO office and the IT organization a strategic business partner of the organization, bringing optimal value to the enterprise. IT Governance expertise involves a 360 degree of the corporation from a CIO perspective. It involves identifying and delivering sustainable advantage to all stakeholders on budget and time. IT Governance depends strongly on the RACI (Responsible, Accountable, Consulted and Informed) principle to engage and bring in the organization behind a deliverable goal. Many a well-intentioned IT projects have failed for not following the RACI principal. Once the RACI framework has been established, a strong project management process has to encompass the IT project that needs to be governed. A well designed project management process establishes several layers of communication channels with cross functional teams across the organizations and delivery teams to focus on quality delivery. IT Governance encompasses the entire organization through the CIO office to do a 360 degree analysis on defining key performance indicators and other dashboard parameters as a neutral participant to measure the alignment of business priorities and IT delivery. 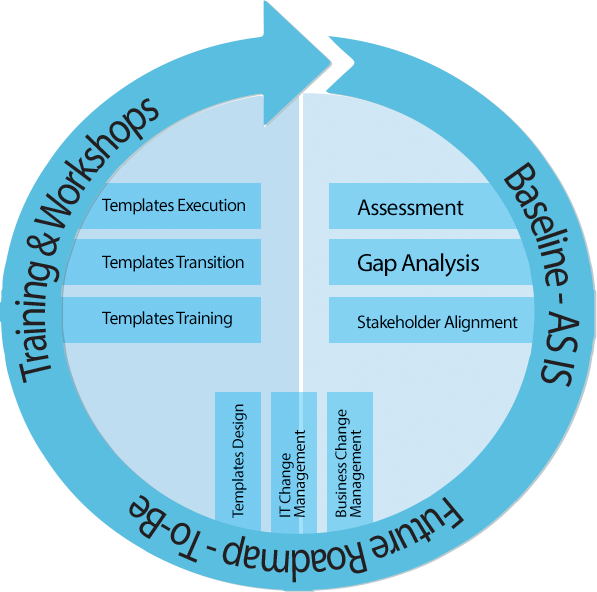 The measurement could happen with templates, interviews, meetings, and other engagement mechanisms with delivery, support and stakeholder teams, groups and organizations. RoundWorld Solutions (RWS) strongly believes that Life Science, Biotechnology and Medical Devices companies are at a threshold of business transformation leveraging IT to be relevant and competitive. The good news is there are several global IT delivery organizations that can assist in the business IT transformation. The key to get there successfully is through smart IT Governance from the get go. A 360 degree perspective from a CIO’s point of view is very essential to intertwine the business priorities and promised IT delivery. 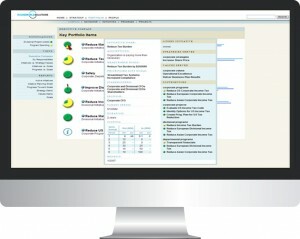 IT governance adds another level of monitoring and an early warning system to the CIO office. As the business processes, customer facing applications, and other IT infrastructure gets updated to deliver expected outcomes, IT governance adds another pair of neutral eyes to provide peace of mind to the CIO office. RoundWorld Solutions (RWS) believes that in the volatile healthcare situation across the globe winning companies will adopt and leverage IT, Data warehousing and other ubiquitous devices to transform healthcare delivery and come out ahead. The good news is there are several global IT delivery organizations that can assist in the healthcare business IT transformation. The key to get there successfully is through smart IT Governance from the get go. A 360 degree perspective from a CIO’s point of view is very essential to intertwine the business priorities and promised IT delivery. Manufacturing organizations today are under intense pressure to decrease costs and increase productivity. In order to achieve those goals manufactures must have IT departments that are agile and more effective in finding ways to modernize and transform their operations by introducing best practices, supporting new technology, and implementing an effective architecture. 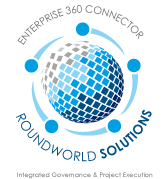 RoundWorld Solutions unique 360 degree view of IT governance can help your organization adopt the industry’s best practices and give your company an orderly, enterprise approach to key IT decisions. Our focus is on aligning the manufacturing organization’s IT structure and priorities which enables IT to be a key driver in helping the business reach its top line corporate goals. In today’s global economy retail organizations are under intense pressure to reduce costs and improve margins. IT Departments have the daunting task of bringing innovation to the enterprise while budgets are being squeezed. RoundWorld Solutions helps Retail IT departments focus on the challenge of delivering cost efficiency, business flexibility, and revenue generation through our unique 360 degree view of IT Governance. Our methodology helps IT organizations to redefine their strategy through a focus on enabling business value and initiating innovation. The result is transformation solutions that deliver the portfolio of benefits you expect from an IT organization that is more agile and focused on meeting the organization’s top line goals. RoundWorld Solutions (RWS) offers the industry leading IT Governance consulting and services to CIOs and IT departments. IT Governance is defined as the processes that ensure the effective and efficient use of IT in enabling an organization to achieve its goals. In addition IT Governance is also the process by which organizations ensure the effective evaluation, selection, prioritization, and funding of competing IT investments; oversee their implementation; and harvest measurable business benefits. Essentially, IT Governance is a business investment decision-making and oversight process, and it is a business management responsibility. IT Governance ensures that the IT organization operates in an effective, efficient and compliant fashion, and it is primarily driven by CIO office. CIO office is coming under increasing scrutiny as the lines between IT Governance and Corporate Governance are blurring since IT value delivery is the company core competency. The need for IT Governance and the dotted relationship with Corporate Governance. 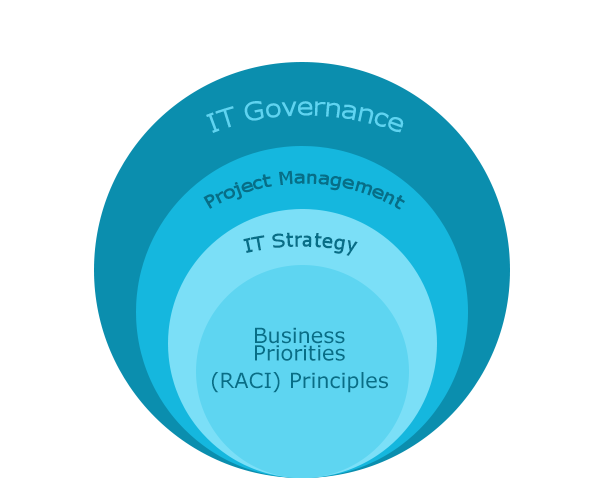 IT Governance framework and process that enables the effective use of all IT Resources. Harvesting the real business value for the organization by IT Governance. Assessing portfolio of IT Proposals, Projects and Assets to ensure that continuous strategic value is realized for the company through an IT Governance layer lens. 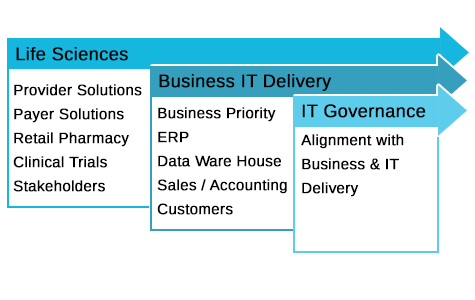 Balanced Scorecard measurement of the IT organization provided by the IT Governance filter that will result in a high strategic alignment of Business and IT. IT Governance enables compliance and risk Management measures to be prevalent across IT and ripples across all business lines. RoundWorld Solutions (RWS) can assist CIO offices in developing an IT Governance framework that will provide a comprehensive look at interconnectedness of Strategic Alignment of IT and Business, IT Value Delivery, Comprehensive IT Resource Management, Performance Measurement and Compliance/ Risk Management. IT Governance should encompass all IT Resources – People, Applications, Infrastructure and Assets to assist in meeting the business priorities. RoundWorld Solutions (RWS) can assist in all aspects of IT Governance. Please call your RoundWorld Solutions representative to find how they can assist in the mobility projects. RoundWorld Solutions (RWS) and its business partners have participated in several IT governance assignments. RWS team brings in a wealth of knowledge and experience when it comes to providing IT governance strategy. 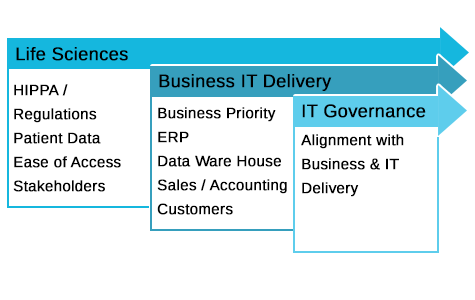 IT governance involves engaging with CIO office to define the KPIs (Key Performance Indicators) and dashboard metrics to measure the effective alignment of business objectives and IT deployment. The CIO office of a multi-billion dollar company was undertaking a major IT deployment. RWS team worked closely with the CIO office, IT Team, and other company stakeholders to define KPIs and scorecards to drive the IT project to meet the strategic goals. RWS governance consultants worked with all the stakeholders and provided an early warning system for CIO office and steered the project to meet the strategic business intent. Please call your RWS account manager for a discussion of your IT governance needs.